Become a hero and rescue all the children who've been lost after the devastating winter storm. 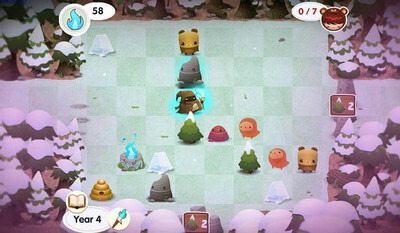 Road Not Taken is a unique puzzle with randomly generated levels and branching story paths that will definitely keep you entertained and will challenge your brain. Your actions will influence not only your own story, but that of the villagers you hope to befriend and the town you call home...No path leads to the same destination in Road Not Taken... Your character has the magical ability to levitate and move objects. You must figure out how to use your talents and tactics to circumvent or defeat a wide variety of dangerous creatures, obstacles, and boss encounters. Lots of quality-of-life improvements in this update! - Increased the font size of text in most dialogs and menus; they should now be easier to read on small screens! Install Apk, Copy ‘com.spryfox.roadnottaken’ Folder to sdcard/Android/obb , Then Launch the Game!